Alan Coxon is a multi-award-winning chef and TV presenter. Often referred to as ‘The Food Archaeologist©®’, Alan is also a food and travel writer, published author, consultant and international judge. For more on Alan, visit his website. 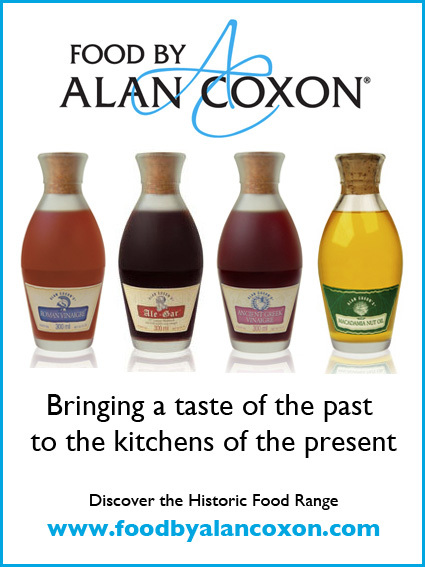 The website foodbyalancoxon.com puts the spotlight on Alan Coxon’s unique, multi-award-winning food range, which centres on modern interpretations of four ancient recipes / foods: English Ale-gar©®, Roman Vinaigre©®, Ancient Greek Vinaigre©® and Cold-pressed Virgin Macadamia Nut Oil. • after dinner speaking / hosting.